NEW YORK (CNNMoney) - Financial stress in the retail industry is at a historic high. Moody's said in a report on Tuesday that retail sector defaults hit a record high during the first three months of 2018 as the rise of e-commerce and decline of malls continues to eat away at profits. Retailers accounted for one-third of all corporate defaults this year, underscoring the pain this pocket of business feels as customers flock to Amazon and other online shopping hubs. "Stresses in the retail sector have weighed on the operating earnings of department stores, discount stores and drug stores in particular," Sharon Ou, a Moody's senior credit officer, said in the report. Moody's cited the "fallout of changing consumer behavior and advancing e-commerce for traditional brick-and-mortar retail." Four retailers defaulted during February and another four defaulted in March -- tied for the most in a single month since December 1998. And that's on top of the 13 retail defaults in 2017, including one by bankrupt Toys R US according to Moody's. The retail defaults pushed the default rate of high-risk US corporate borrowers to 3.9%, compared with 3.4% at the end of 2017, Moody's said. Much like a consumer who fails to pay off loans, companies that default on their debt often encounter trouble finding financing in the future. 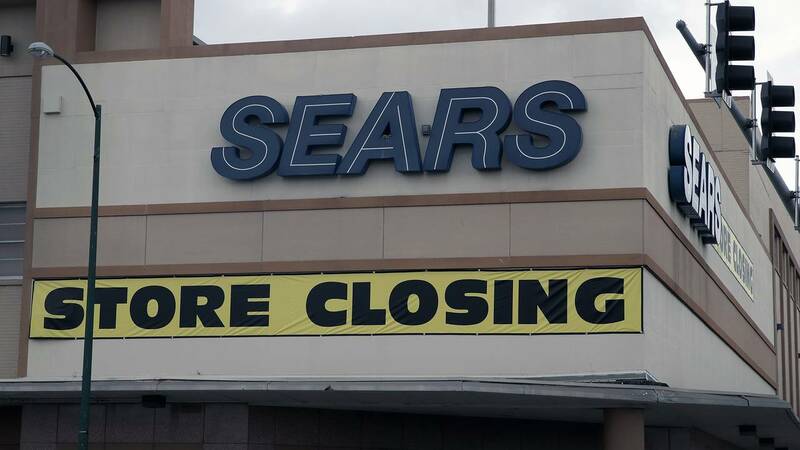 The latest retail trouble included Sears Holdings, the owner of Sears and Kmart, which has been fighting off bankruptcy rumors for years. Sears refinanced nearly $500 million in debt last month, but credit ratings firms ruled the deal a "distressed exchange" (essentially a default). Claire's, the mall-based ear piercing hub, filed for Chapter 11 bankruptcy in March. Slumping mall traffic made it difficult for Claire's to pay down a mountain of debt taken on following a 2007 leveraged buyout by private-equity firm Apollo Management. Two holding companies that control Tops Markets, a supermarket chain that filed for bankruptcy in February, also defaulted. Department store chain Bon-Ton Stores went bankrupt in February. A pair of mall owners are in talks to save Bon-Ton from liquidation, according to CNBC. Moody's listed defaults from BI-LO LLC and BI-LO Holding Finance. BI-LO owner Southeastern Grocers filed for bankruptcy last month. Teen clothing retailer Charlotte Russe slashed its debt through a recent distressed exchange. UK-based BrightHouse Group, which sells rent-to-own refurbished sofas, TVs and fridges, also completed a distressed exchange. Another retailer succumbed to financial pressure this week as Nine West Holdings, the owner of the Nine West and Anne Klein brands, filed for Chapter 11 bankruptcy. The good news is that Moody's expects global default rates to significantly decline over the next year due to "global economic momentum" and relatively low interest rates. That's a relief because companies have piled on a ton of debt in recent years. Corporate debt relative to GDP matched an all-time high during the third-quarter of 2017. One potential problem is that short-term borrowing costs have spiked this year in part because of rate hikes from the Federal Reserve. That could create financial headaches for companies that need new loans as well as ones that have taken on floating-rate debt, where interest expenses rise with rates.